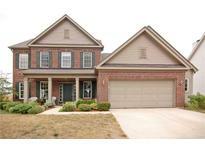 Below you can view all the homes for sale in the Edenwilde subdivision located in Indianapolis Indiana. Listings in Edenwilde are updated daily from data we receive from the Indianapolis multiple listing service. To learn more about any of these homes or to receive custom notifications when a new property is listed for sale in Edenwilde, give us a call at 317-434-3867. There's nothing missing in this home so make it yours today. MLS#21633546. Doc Real Estate, Inc. Neighborhood w/community pool & playground. Schedule your private tour. MLS#21632446. Carpenter, REALTORS®. This well maintained and updated home (including flooring, light fixtures and kitchen sink) is in move-in condition and ready for its new owners!! ! MLS#21622265. Keller Williams Indy Metro NE. Homeowner offers a one year 7 star warranty. MLS#21612285. REALTY WORLD-Harbert Company.